Plastic Surgery in Spain - Dr. Patricia Gutiérrez. From woman to woman. Dr. Patricia Gutierrez-Ontalvilla has a MD in Medicine and Surgery with an honorable mention from the prestigious University of Navarra (1998). She is a member of the Spanish Society of Plastic, Reconstructive and Aesthetic Surgery (SECPRE), International Society of Aesthetic Plastic Surgery (ISAPS), the Spanish Society of Fat Transfer (SETGRA) and the Valencian Society of Plastic, Reconstructive and Aesthetic (SVCPRE). Plastic, Aesthetic and Reconstructive Surgeon. When considering Plastic Surgery in Spain, it is especially important to take your decisions carefully. I’ve created this simple Medical Travel Guide (based on the one by the International Society of Aesthetic Plastic Surgery – ISAPS) to promote the safety of people considering cosmetic surgery in Spain. The highest priority of the International Society of Aesthetic Plastic Surgery (ISAPS) is to promote patient safety. If you have chosen to travel to another country for aesthetic plastic surgery, we encourage you to do your research and collect the answers to the questions provided on this page. Choosing to have aesthetic or cosmetic plastic surgery abroad demands careful planning and decision making. Aesthetic plastic surgery requires that you choose a highly trained and qualified plastic surgeon. Dr. Patricia Gutierrez belongs to some of the most prestigious International Aesthetic Plastic Surgery Associations. Here you can find her profile page at the ISAPS website. Does the procedure you are considering provide the improvements you want? When establishing realistic expectations for plastic surgery, it is important to understand the improvements the procedure can provide. For example, you might be considering liposuction when a tummy tuck is necessary. Our procedures section provides overview pages for common aesthetic plastic surgery treatments. Do you fully understand the procedure and possible complications? Make sure you understand what the procedure entails in terms of scars, recovery time and risks. Are you a good candidate for the procedure you are considering? Talk with the surgeon about your expected outcome to make sure that it is reasonable. It is also important for your surgeon to conduct a medical screening to determine whether you are at risk for complications. Verify that the surgeon is trained and experienced in performing the procedure you are considering. Choosing a gynecologist for a breast augmentation or a dermatologist for a face lift may be a risky decision. In order to become a member of ISAPS, surgeons must be accepted by the national plastic surgery society in the country in which they currently practice. Use ISAPS member locator to obtain the names and addresses of over 2,400 certified plastic surgeons in 94 countries. Is the surgeon a member of recognized national and international plastic surgery societies? ISAPS membership ensures both. 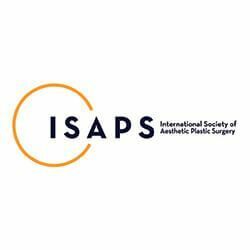 ISAPS is the largest international society of individual plastic surgeons. Membership is by invitation and is granted to applicants only after extensive screening. You have the right to know if the surgeon is a member of his/her national plastic surgery society, is a board-certified (or the equivalent in that country) plastic surgeon and is properly trained to perform the procedure you are considering. Dr. Patricia Gutierrez belongs to some of the most prestigious International Aesthetic Plastic Surgery Associations. Here you can find her profile page at the ISAPS website. Do the key personnel at the surgeon’s office speak your language fluently? If you cannot be easily understood, be prepared for complications. Dr. Patricia Gutierrez speaks fluent Spanish, English and Italian. You should be talking directly with the doctor’s staff and the doctor. A travel agent should only make travel and lodging arrangements. You will talk directly with Dr. Patricia Gutierrez and her staff for anything related with your procedures. Have you checked the surgeon’s references? Ask for names and contact information of patients who have recently had similar procedures and contact them about their experience with the surgeon, his/her staff, aftercare facilities and post-operative follow-up.  In this website you can find testimonials (in Spanish) from Dr. Patricia Gutierrez Ontalvilla’s patients that might help you understand the level of care, detail and professionalism of our clinic. Do the surgeon and his/her facility use a safety checklist? The World Health Organization (WHO) developed a 19-question surgical safety checklist that, when implemented, can reduce surgical complications and surgical deaths. This simple checklist, much like a pilot’s pre-flight checklist, can be used in a variety of surgical settings without additional costs. Dr. Patricia Gutierrez uses the WHO checklist. Is the plastic surgeon’s clinic or hospital accredited or certified? You can review the Hospital website here. Feel free to ask us for certification information and the name of the certifying body when assessing a surgical setting. As regulations vary from country to country, choosing an accredited clinic or hospital means that the facility has passed a comprehensive evaluation and operates in accordance with patient safety standards. Most health insurance providers do not cover individuals for surgery performed outside their own country. With the rise in medical tourism, international medical coverage is becoming more common. Ask if coverage is available through your insurance agent. Where will you stay while you recover? Patients should stay in the area where the surgery was performed for at least one week, depending on the procedure. Traveling too soon after surgery increases the risk of pulmonary embolism and blood clots. Find out in advance where you will stay and if this facility is prepared to care for your post-operative needs. Dr. Patricia Gutierrez staff can help you coordinating your stay. Feel free to contact us for advice about hotels in Valencia and the area near by. What about complications and follow-up care? Even when surgery is properly performed, complications are a possibility. Dr. Patricia Gutierrez offers an insurance in case a secondary procedure is necessary. Ask about it during your appointment. Because you plan to undergo surgery by choice instead of medical necessity, it is important to make sure you are a good candidate for the procedure you are considering. Review the possible risks, side effects and required recovery time during your appointment. Here you can find Dr. Patricia Gutierrez profile page at the ISAPS website. Because standards vary among countries, you must carefully research the surgical setting your surgeon will use. If your surgery will be performed in a hospital, make sure that the hospital is certified or accredited. If an outpatient surgery center will be used, find out if it is accredited by the American Association for Accreditation for Ambulatory Surgery Facilities International (AAAASFI) (formerly called Surgery Facilities Resources). You can review the Hospital NISA 9 of October website here. ¿Do you need help planning your medical travel? Dr. Patricia Gutierrez staff can help you plan your medical travel. Make sure the surgeon and the hospital staff who will care for you can speak your language. Obtain a price for your surgery and ensure that you have a clear understanding of what is included. See our Fees, Financing & Insurance tab for more information. Determine how you will finance your procedure and travel needs. Find out which payment methods your surgeon accepts such as cash, traveler’s checks or credit cards. Ask about available financing options. Schedule your surgery with the practice. Determine required lab work and vaccinations. Find out how far in advance you need to arrive to have your consultation. For continuity of care, make sure your local doctor is informed about your surgery and provides any relevant medical records to your surgeon. Make sure your surgeon can send information about your procedure to your local doctor. Determine your potential recovery and aftercare needs. How long will it be before you can return home? What is the schedule for follow-up visits? Locate emergency care providers in the country you are traveling to and at home. Where will you stay the night before surgery and while you recover? Which airport is closest to the practice? Do you need a passport? Do you need a visa? Will you need foreign currency or traveler’s checks? Who will drive you to your hotel and help care for you after surgery? Pillows for the neck, body or back to support specific areas after surgery. Once you have made the decision to proceed with aesthetic or cosmetic plastic surgery abroad, the next step is selecting the right aesthetic plastic surgeon for you. Three important considerations are qualifications, surgical facilities and rapport. Aesthetic plastic surgery requires a highly trained and qualified plastic surgeon. Dr. Patricia Gutierrez has a MD. in Medicine and Surgery with an honorable mention from the prestigious University of Navarra (1998). She is a member of the Spanish Society of Plastic, Reconstructive and Aesthetic Surgery (SECPRE), International Society of Aesthetic Plastic Surgery (ISAPS), Spanish Society of Aesthetic Plastic Surgery (AECEP) and the Valencian Society of Plastic, Reconstructive and Aesthetic (SVCPRE). Start by determining if the prospective surgeon is qualified to perform the procedures you want. The surgeon you select should have training and experience in performing a wide range of aesthetic plastic surgery procedures. Because regulations, training, and certification policies for aesthetic plastic surgeons vary throughout the world, the International Society of Aesthetic Plastic Surgery (ISAPS) can take the uncertainty out of your decision. When you choose an ISAPS member, you can be confident that you have made an excellent choice. No other international organization screens its members as thoroughly and extensively as ISAPS does. Are you a member of ISAPS? How many procedures of this type have you performed? What is your complication rate? How often do you perform the procedure I am considering? How many patients have you treated from abroad? Reputable, qualified surgeons possess surgical privileges at accredited facilities. When selecting a surgeon, it is important to research the surgical setting. Hospitals: Even if your procedure will be performed in an outpatient clinic, find out if your surgeon has hospital privileges. Hospital committees routinely examine the training of surgeons to determine whether to allow them to perform the procedures at that institution. It is a warning sign if a surgeon does not have hospital privileges. Dr. Patricia Gutierrez performs every surgery procedure at Hospital NISA 9 de Octubre (Valencia, Spain). Outpatient clinics: Working in an accredited outpatient clinic is another indication that the surgeon’s training has been evaluated and determined to be acceptable. Validation of the training of a surgeon is a prerequisite to obtaining a certificate from many accreditation organizations. ISAPS partners with American Association for Accreditation for Ambulatory Surgery Facilities International (AAAASFI), formerly known as Surgery Facilities Resources, Inc. (SFR), an international organization that provides accreditation to outpatient surgical facilities. Dr. Patricia Gutierrez attends her patients weekly at her private pratice in the before mentioned facilities where she’s an accredited plastic surgeon. Do you have before-and-after photos that demonstrate typical results for the procedures I am considering? Can I speak with a few of your patients who have undergone similar procedures? Because regulations vary from country to country, it can be difficult to determine whether the surgical setting your surgeon uses is safe for your cosmetic plastic surgery abroad. The most reliable measure of safety is to verify that your surgeon uses an accredited hospital or outpatient clinic. To become accredited, the facility must pass a comprehensive evaluation and operate in accordance with patient safety standards. Hospital 9 of October in Valencia (Spain) is a prestigious private hospital. It belongs to the NISA group which is one of the biggest private medicine companies in Spain running 8 hospitals plus 2 medical centers all over the country. For each phase, a designated staff member must confirm that the surgery team has completed the listed tasks before it proceeds. Ask if your surgeon and surgical facility uses the WHO checklist or a similar protocol. If your procedure is to be performed in a hospital, verify that the hospital is accredited or certified. Ask your surgeon for certification information and the name of the certifying body. Healthy patients should not be exposed to patients with infectious diseases. In a safe hospital setting, healthy aesthetic plastic surgery patients should not be treated in the same operating room, cared for by the same medical staff and share recovery areas with patients who are ill. The American Association for Accreditation for Ambulatory Surgery Facilities International, (AAAASFI), formerly known as Surgery Facilities Resources, Inc. (SFR), is an international organization that provides accreditation to surgical facilities. ISAPS partners with AAAASFI to provide patients with means of determining whether a facility operates under safe practices. The certificate of AAAASFI accreditation signifies to patients that the accredited facility has voluntarily opened itself to the scrutiny of an international organization dedicated to patient safety. Accredited facilities must meet stringent national standards for equipment, operating room safety, personnel and surgeon credentials. When you choose a surgeon who uses an AAAASFI accredited facility, you can be confident that your procedure will be performed to the highest standards of safety. When planning medical travel, financing is an important consideration. On this tab you can find some important considerations related to fees, financing and insurance that patients should think through carefully before traveling for cosmetic surgery abroad. When preparing for your cosmetic surgery abroad, it is important to plan for your recovery and aftercare, along with the possibility of complications. Your surgeon should help you understand what to expect and assist in this planning. The International Society of Aesthetic Plastic Surgery (ISAPS) has provided information to get you started. Appropriate aftercare is critical to the success of your procedure. Where will I be for the first 24 hours after surgery? This is typically the period when complications due to the anesthesia or excessive bleeding are most likely to occur. Find out whether you will be able to return to the clinic if concerns arise. What type of post-op care will I need? Depending on what type of care will be required, you may need to arrange assistance after your surgery. Patients often require help getting dressed, feeding themselves and caring for other personal needs for at least a few days. Ask whether you will need assistance and for how long. How will travel impact my surgical outcome? Even without surgery, sitting for long periods of time, such as during a long airplane flight or car ride, increases the risk for deep vein thrombosis (blood clots in the legs) and pulmonary embolism (blood clots in the lungs). After surgery, these concerns are compounded by the fact that you may have difficulty standing and need to limit pressure on the surgical area by repositioning your body or face regularly. Find out how long you need to wait before traveling home and follow your surgeon’s advice. What restrictions will I need to make after surgery? Common vacation activities like swimming, sunbathing and drinking alcohol are typically not recommended after surgery. Lifting heavy bags and standing or walking for long periods of time are other vacation-related activities you may need to avoid. Where do I go if an emergency arises before I return home? Can I call you if I have concerns after surgery? Are you affiliated with any clinics in my home country that I can go to for follow-up care? Do you have insurance that will cover complications?